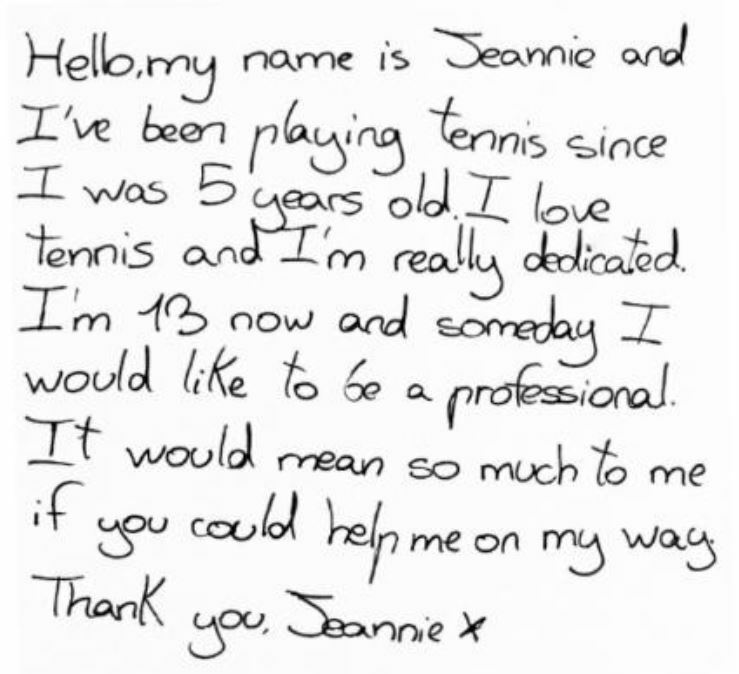 Becoming a professional tennis player takes a great deal of effort and resources. To continue to climb in the rankings and progress to a higher-level, Jeannie must compete in as many tournaments as she can in order to gain ranking points. 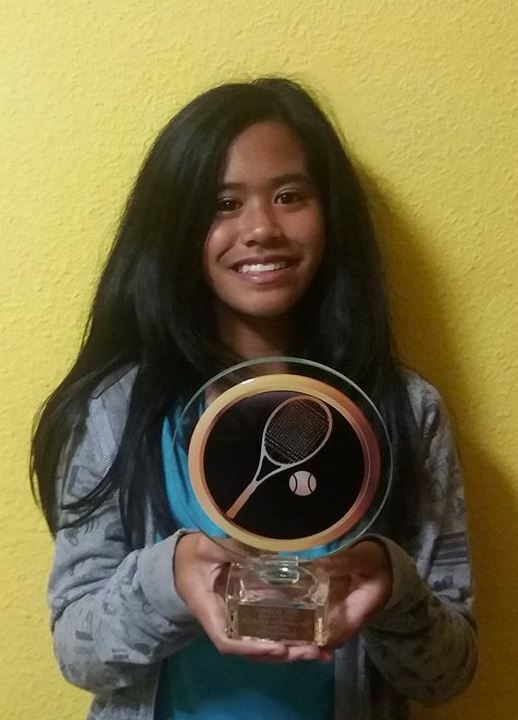 The goal is to increase her ranking so that she can compete at the annual Les Petits Asp tournament in France. Les Petits Asp is the premier junior tennis tournament for players aged 12–14, it is an annual tournament held at Tarbes. The event has seen a number of its champions go on to become slam winners, including Rafael Nadal, Michael Chang, Martina Hingis, Kim Clijsters, and Jeļena Ostapenko. Coached by her father, Orlando, they have to travel all over Spain and compete against players with far more financial resources available. To be able to finance her career so that Jeannie can afford to enter more tournaments, this donation page has been set up to allow friends and supporters make a contribution and help Jeannie on her way. If you would prefer to make a donation by post, please send to Orlando Barcia Cabrillas, Avenida las Palmeras 3, Puerta 324, 29601, Marbella, Spain.